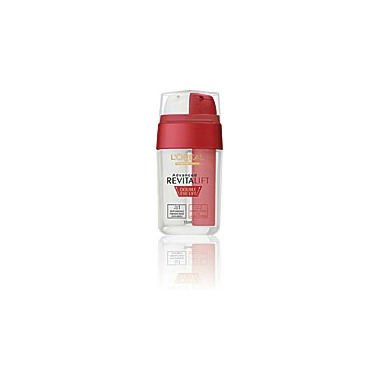 L' Oreal Paris introduces New ADVANCED REVITALIFT® DOUBLE EYE LIFT, a revolutionary 2-step eye treatment that minimizes wrinkles and puffiness and instantly re-tightens the upper eye area. New Advanced RevitaLift Double Eye Lift is L'Oreal's first double action eye treatment that combines two exclusive, complementary formulas: fortified Pro - Retinol A® to minimize under eye wrinkles and puffiness and Pro - Tensium E to instantly and lift the upper eye area. With Fortified Pro - Retinol A®, a powerful anti - wrinkle ingredient, the under eye cream helps reduce wrinkles, and immediately diminishes dark circles and puffiness. Enriched with Pro - Tensium E, the upper eye gel forms a resistant layer which lifts and tightens skin above the eyes. Feel the results immediately. This was purchased as a gift, so we'll see what happens! Fantastic product. I found it worked really well especially on my upper eye area.